On a recent conservation expedition to the Falkland Islands – the Detroit Zoological Society’s (DZS’s) second in two years – I met with the governor of the islands and commissioner of the nearby South Georgia and South Sandwich islands, His Excellency Nigel Phillips CBE. We discussed the need and potential for penguin conservation work in the region, and the important role that the DZS can provide. 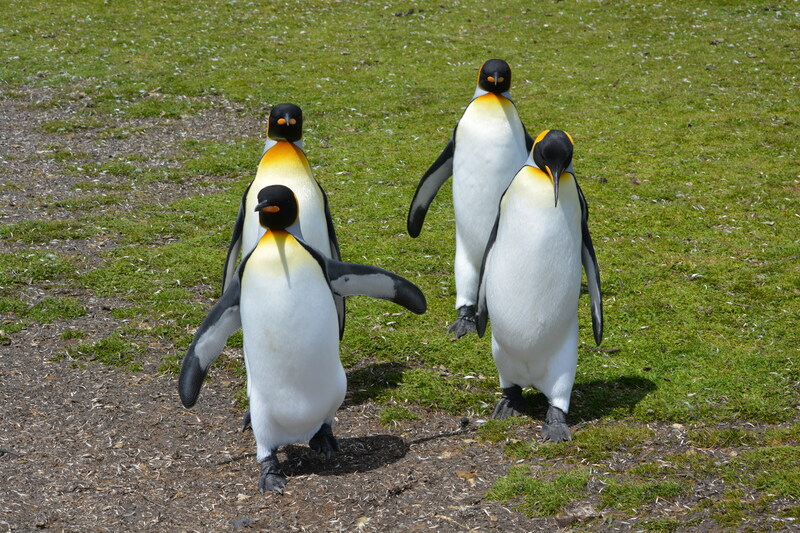 Through our partnership with organizations such as Falklands Conservation (FC), which is working to conserve rockhopper, gentoo and king penguins – three species of penguins living in the Detroit Zoo’s Polk Penguin Conservation Center – and other seabirds, we can not only provide financial support but also scientific expertise in the field. Additionally, we teach, engage and inspire millions of Detroit Zoo visitors about these incredible animals, their plight in the wild, and what people can do to help. The Falkland Islands, located off the southern tip of South America, provide critical habitats for several species of penguins and other wildlife. However, threats are looming from oil extraction and increasing ecotourism, and it is essential to establish marine protected areas and assess the impacts ecotourism brings. On our recent expedition with Falklands Conservation, we set out to monitor the population of penguins and other seabirds living on several islands off the easternmost coast of the Falklands – some which had never been visited and others that had not been visited for more than 10 years. The islands were close to the military port near Stanley, the capital of the Falklands, but rather remote, and landing on some of them was quite difficult because of the sea swells and cliff faces. In fact, we weren’t able to land at all on one of the islands called The Mot, and instead used a drone to effectively document the birds’ habitat. We made some important observations on these excursions. As the sun went down during our drone visit to The Mot, we noted the return of hundreds of sooty shearwater birds returning to their burrows. Shearwaters are a threatened pelagic sea bird and an important indicator of well-managed fisheries, so documenting the location of a new colony was significant. We also documented the first records of Cobb’s wren on another island, which are ground nesting birds endemic to the Falkland Islands and important indicators that the land is free of rats and mice. These rodents have been introduced to many of the islands and have devastated populations of Cobb’s wren and other ground nesting birds. Additionally, we were heartened to see that the habitat at another island, Motley, has recovered tremendously from earlier sheep grazing. The plant life on this island was diverse with rare flowers such as yellow orchids and hairy daisies. Gentoo penguins were also observed at Motley, so it is possible and promising that a previously observed gentoo colony nearby is expanding. 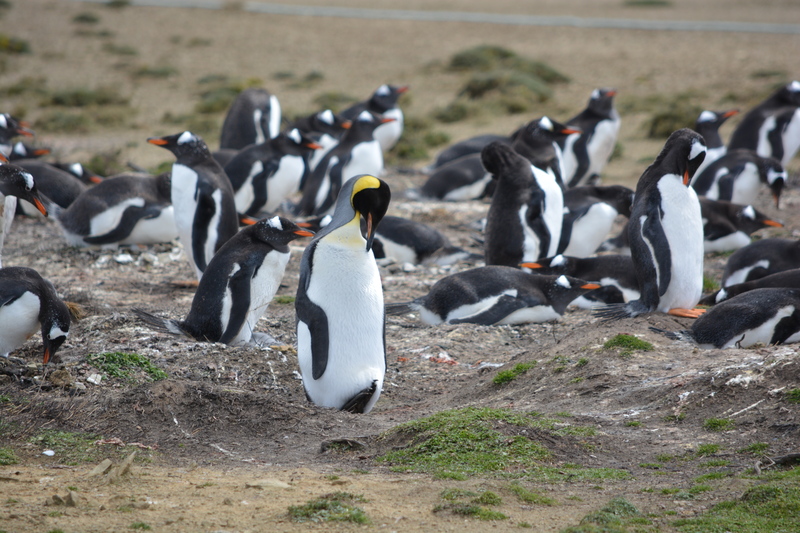 The DZS hopes to establish a long-term project site at the Falklands to analyze the impact of ecotourism on penguin breeding, health and welfare. Tom Schneider, the DZS’s curator of birds, and I investigated several potential sites that have king and/or gentoo penguin colonies. We also had the opportunity to visit the Seabird Rehabilitation Facility, which was designed to accommodate small-scale wildlife rescue efforts, often involving oiled penguins. With increased oil development on the horizon, the number of oiled birds needing proper cleaning and rehabilitation is sure to increase. The DZS has produced educational panels that will be displayed at the facility which detail its history, the impact of oil pollution on seabirds, the extensive process that goes into caring for oiled birds, and several success stories of birds who have recovered and been returned to the wild. – Paul Buzzard, Ph.D., is the field conservation officer for the Detroit Zoological Society, which leads and supports wildlife conservation work on six continents. Veterinary Care: What’s in Your Wallet? Among the items in my wallet is an identification card that says I am a certified Hazardous Waste Operations and Emergency Response (HAZWOPER) technician. As a zoo veterinarian, this certification is very important to me – and to the Detroit Zoological Society (DZS) – because it means that in the event of an environmental emergency anywhere in the world, I can be deployed to help. In addition to myself, two other DZS veterinarians, a veterinary technician and six animal care staff members carry these cards and have this expertise. 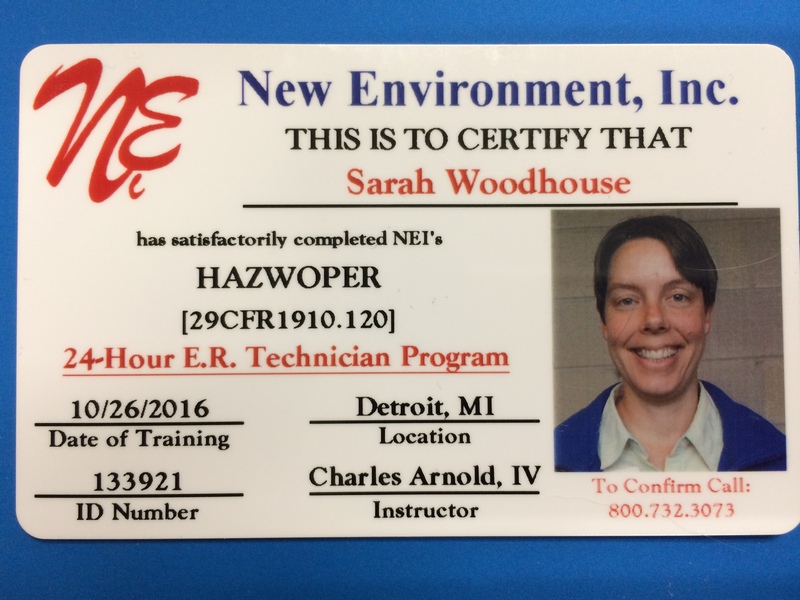 HAZWOPER training is required for anyone who may be working in situations with hazardous materials. A big example of this is oil, and all the other toxic chemicals involved in an oil spill. If an oil spill were to occur, and if there are animals affected, they will need care and treatment – which puts the people caring for them in harm’s way. HAZWOPER training is not only about the animals themselves – that is our area of expertise as trained animal health professionals – it is about all the other dangers humans could face while trying to save them. As part of this training, we learn how to protect ourselves from all the things that could be harmful at a hazardous waste cleanup site. In addition to being exposed to many kinds of toxic chemicals and vapors that can be inhaled, we may also have to protect ourselves from heatstroke or frostbite. This training is required by the government in order for us to lend our expertise to help the animals because if one of us were to become ill or injured, it would only add to the challenges of an already difficult situation. It’s similar to the airplane safety measure of putting on your own oxygen mask before helping a child put on theirs – if those of us trying to help don’t keep ourselves safe first, it puts the animals at even greater risk. HAZWOPER training is labor and time intensive and requires skilled instructors and specific materials. If an emergency were to happen today, one cannot wait weeks or months to undergo the training, because the animals need help now. When the Deepwater Horizon oil spill occurred in the Gulf of Mexico in 2010 – the largest marine oil spill in history – many veterinarians and other professionals trained in animal care wanted to help, but without HAZWOPER training, the government wouldn’t allow it. An estimated 2.2 million gallons of crude oil leaked into the Gulf every day for nearly three months. This oil spill affected 400 different species of wildlife, including 8,000 birds, 1,100 sea turtles and 109 mammals. This is exactly why we stay ready – we undergo an eight-hour refresher course annually in order to maintain our certification, which many of us do in our free time, outside of work hours. And because of this, one of the DZS’s veterinary technicians was able to travel to New Orleans that summer and assist with Deepwater recovery efforts. Thankfully, we haven’t needed to respond to an environmental disaster in the past two years, and frankly, we’d like to keep it that way. But if the worst happens tomorrow and animals need our help, we’ll be on the next plane. – Dr. Sarah Woodhouse is a veterinarian for the Detroit Zoological Society and works at the Ruth Roby Glancy Animal Health Complex at the Detroit Zoo. Learn more about HAZWOPER training. Baby, its cold outside! The New Year brought some very low temperatures to our area, which can be a challenge for humans and non-human animals alike. 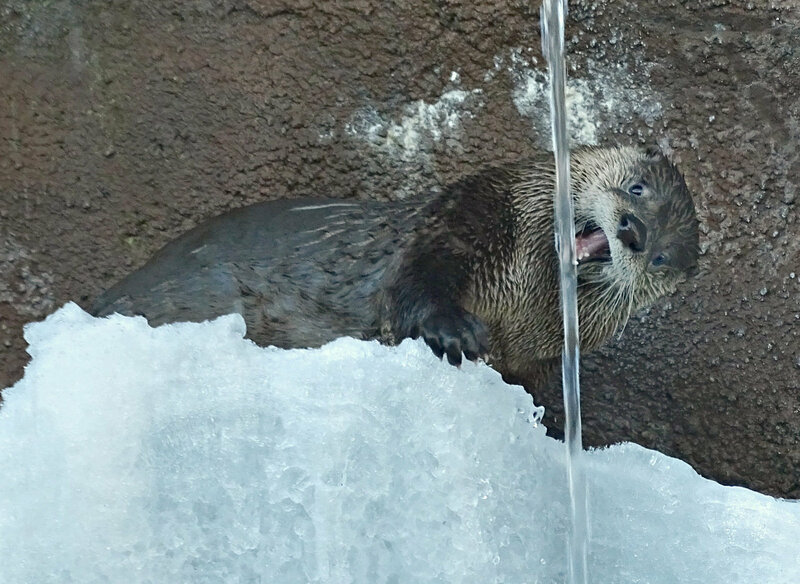 Detroit Zoological Society staff take a number of measures to ensure each animal living at the Detroit Zoo and Belle Isle Nature Center is comfortable year-round, including when temperatures dip into the negatives. 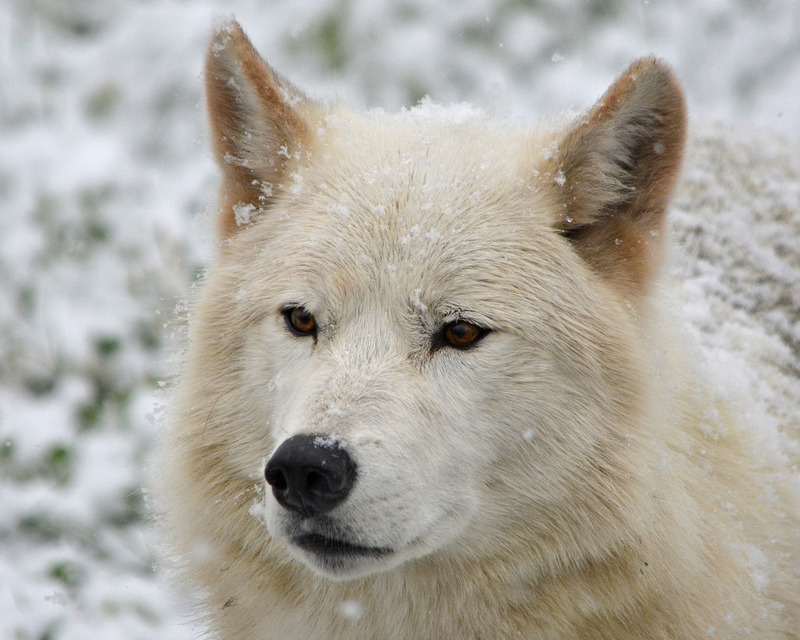 For some animals, this may mean spending time in behind-the-scenes areas where the temperature is controlled and any impacts of snowfall are removed. Cold-tolerant species, such as the red pandas or the Amur tiger, have the option to enjoy the winter weather or remain inside if they choose – this is part of what allows them to experience great welfare. In many cases, we also make modifications to habitats to create heated areas and wind shelters – for example, the lions have heated rocks they’re often seeing lounging on – and we often add extra bedding materials to various habitats as well. This way, animals that are less comfortable being inside a building can still “find shelter from the storm”. These different options allow all of the animals to enjoy their home in the same way our heating systems, fireplaces and warm blankets keep us comfortable. We should be thinking about these things for the animals who share our homes as well. Spending time outside needs to be done more cautiously in very cold weather, even for our furry friends. As domesticated species, they are not as well equipped to deal with harsh weather as wild animals are. There are many steps you can take to protect your companion animals from the cold, even if they do spend time outside. Winter weather in Michigan often makes us appreciate the other seasons of the year, but there is still much to be enjoyed (and this is coming from someone who moved here from Florida!). We are still treated to beautiful, sunny days as fresh snow blankets everything around us. The 125 acres of the Detroit Zoo offer a great opportunity for us to experience the wonder of winter and marvel in the beauty of wildlife. Many of the animals at the Detroit Zoo make the most of the cold weather, including the Japanese macaques (aptly also called snow monkeys), bison, otters, polar bears, wolves and bald eagles. You can also see animals including the giraffes, rhinos, gorillas and chimpanzees from viewing areas inside their buildings. The Free-Flight Aviary, Butterfly Garden, National Amphibian Conservation Center and Holden Reptile Conservation Center are great places to spend some time indoors during your visit. And although the Polk Penguin Conservation Center provides a more Antarctic climate for its feathery occupants, it also offers visitors a nice break from the blustery outdoors this time of year. Be sure to catch the Wildlife Photographer of the Year exhibition in the Ford Education Center too – 100 winning images from the world’s largest and most prestigious wildlife photography competition. 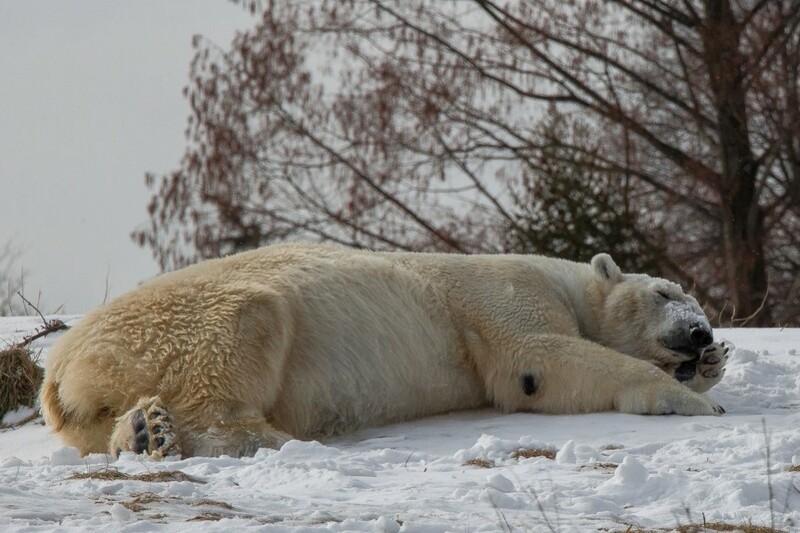 Come out and experience all of this for yourself – the Detroit Zoo is open all winter long! – Dr. Stephanie Allard is the director of animal welfare for the Detroit Zoological Society and oversees the Center for Zoo Animal Welfare and Ethics.